Opened in August 2004, Blakeney Delicatessen is a specialist, family-owned fine food and wine shop situated on the High Street of this charming North Norfolk coastal village. 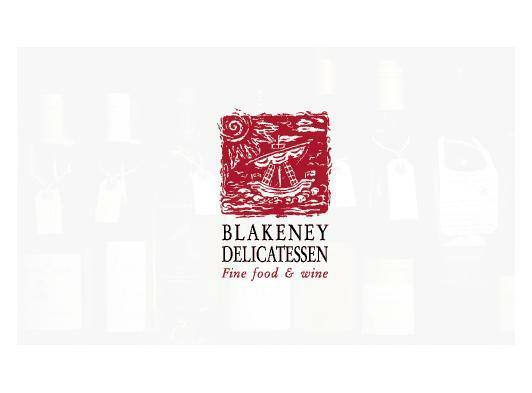 Blakeney Delicatessen supplies fresh seasonal and local produce as well as carefully sourced deli foods from around the world and a wonderful selection of wines. The hub of the shop is the on-site kitchen in which hand-made foods are prepared on a daily basis. Customers can collect tarts, breads and pastries still warm from the oven, home-made pates, soups and a range of delicious original dishes. Menus change regularly and follow the seasons. Blakeney Deli's on-site kitchen is open every day of the year producing delicious and inspiring food. Unlike many other delis we have always made our own cakes, tarts, pies, soups, pates and salads which guarantees their freshness and unrivalled taste. This is real food with a menu that changes regularly, following what's in season and the cooks' inspiration. On a typical day freshly made soups and quiches will appear, cakes and meringues, and an array of delicious salads. Worthy of special mention must be the sausage rolls"The best sausage rolls I've ever tasted," says one customer who regularly travels from the other side of Norwich to collect hers. We believe that good wine is as important at a Delicatessen as fine food. Often the two are best enjoyed together. We never tire of trying to source the most interesting wines which represent the best possible value for money. Even now, with an under-performing pound and a succession of chancellors penalising the wine enthusiast, it is possible to find wines which don't break the bank and still give great pleasure. One of our best sellers costs £5.75 a bottle and is so good that it won plaudits at last years Sommeliers Awards. We want to offer our customers the best possible service in terms of product knowledge, quality and value and make the process of buying wine an informative and enjoyable experience.